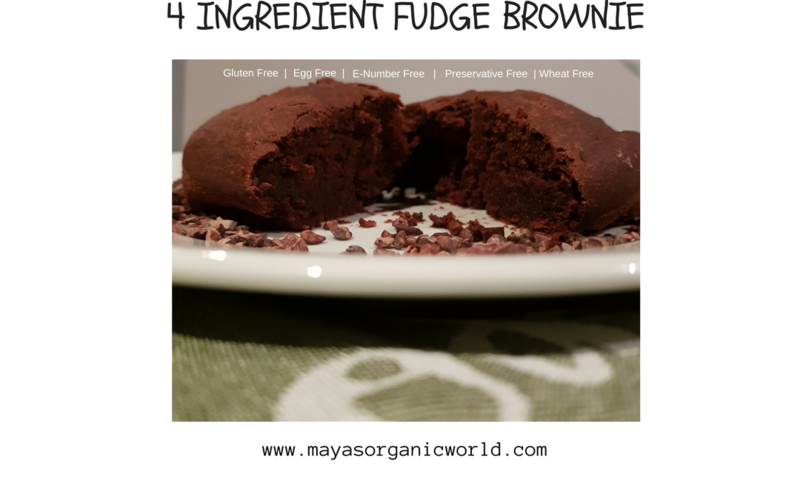 Amazing 4 ingredient brownie, moist, delicious and packed with nutrition. A treat for the whole family and especially your children. 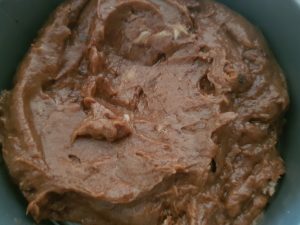 A gut friendly nutrient power house brownie. A recipe from Maya’s Organic World Kitchen and we are sharing it with you. There are not many people in this world who do not love chocolate. 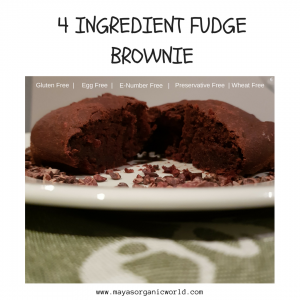 We absolutely love chocolate so why not combine the knowledge of nutrition, health, baking and love, As a result you get a quick and easy brownie. Children love desserts and it is very hard to constantly give store bought desserts when you have immune compromised children or children who have suffered poor immunity. Sometimes it is easy to give in to your child’s demand and take the easy route. But we all deserve the best nutrition and our body requires adequate nutrition to grow properly. Soak the dates for a minimum of ten minutes. 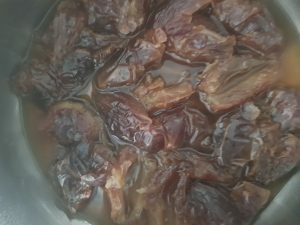 Blend the dates and water in a food processor. 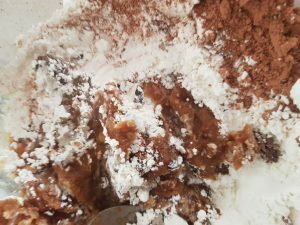 Add the blended dates to a bowl, add the flour, oil, cacao and bicarbonate soda. Mix the ingredients and pour into a baking tin. Tastes like date pudding. I love it. Thank you.